Elizabeth 2 | Harmonique Fibre Arts Supply Inc. This beautifully crafted wheel has a large 61cm (24ins) wheel with 12 spokes mounted on ball bearings for smooth effortless spinning. Horizontal adjustment of the maiden bar allows perfect alignment with the 3 speed whorl. The maiden bar clamps to the base to eliminate vibration. 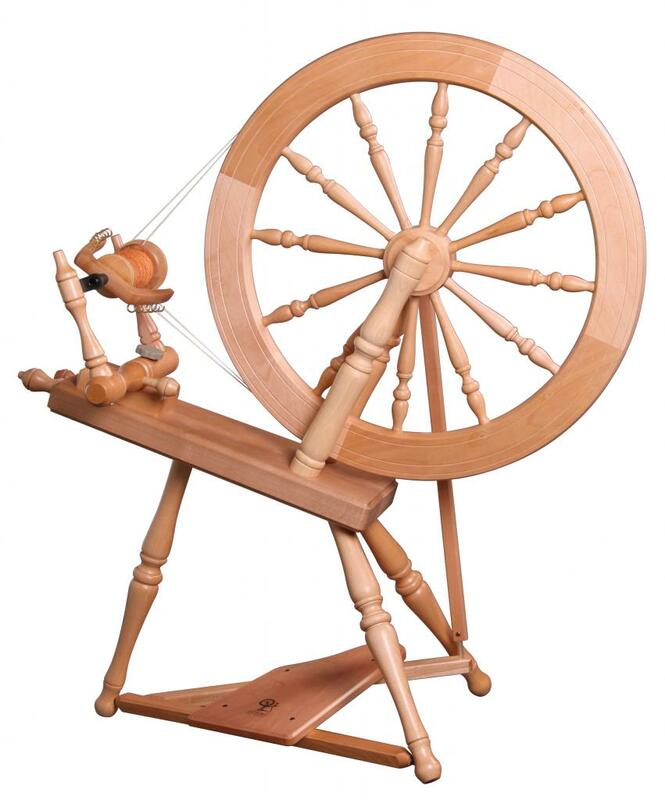 This Double drive wheel produces a fine, firm-twist yarn particularly suited for fine wools and exotic fibres. One adjustment controls both drive band and bobbin take-up. Easily converted to single drive or bobbin lead. The treadle is pivoted for a comfortable heel-toe action. Tensioned lazy kate with 4 bobbins included. Included accessories - Lazy Kate, 4 double drive bobbins, Threading hook, Learn to spin booklet.